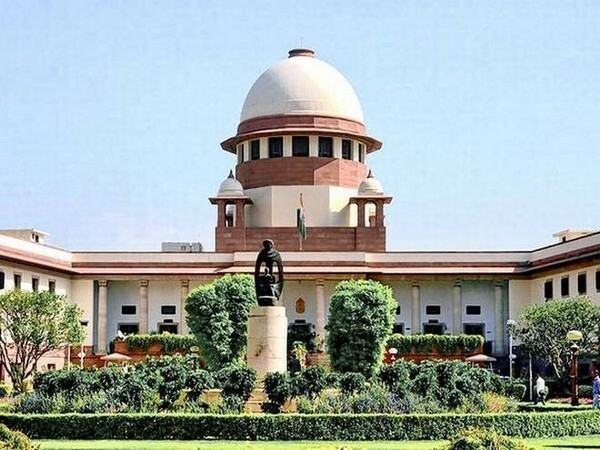 New Delhi (India), Sept 28 (ANI): As the Constitution bench of the Supreme Court pronounced the Sabarimala verdict by a 4:1 majority, Justice Indu Malhotra, the lone woman judge in the Bench, opposed the majority view in the judgment. In her minority judgment, Justice Malhotra opined, "Present judgment won't be limited to Sabarimala, it will have wide ramifications, and issues of deep religious sentiments shouldn't be ordinarily interfered into. Religious practices cannot solely be tested on the basis of the right to equality. What constitutes essential religious practice is for the religious community to decide, not for the Court." The Supreme Court on Friday allowed women of all ages to enter the holy shrine in Kerala. Justice Malhotra, in her dissent view, also said that constitutional morality in a pluralistic society gives the freedom to practice irrational customs, and notions of rationality can't be invoked to examine the religious practice. Observing that Sabarimala shrine and the presiding deity are protected by freedom of religion and worshippers of Sabarimala constitute a separate religious denomination, Justice Malhotra clarified that the petition asking 'women of all ages to be allowed' does not deserve to be entertained. The summary of her judgment copy read, "The Writ Petition does not deserve to be entertained for want of standing. The grievances raised are non-justiciable at the behest of the Petitioners and Interveners involved herein. Constitutional Morality in a secular polity would imply the harmonisation of the Fundamental Rights, which include the right of every individual, religious denomination, or sect, to practice their faith and belief in accordance with the tenets of their religion, irrespective of whether the practice is rational or logical." She also stated that equality doctrine under Article 14 doesn't override fundamental right. The portions of her judgment copy read, "The equality doctrine enshrined under Article 14 does not override the Fundamental Right guaranteed by Article 25 to every individual to freely profess, practice and propagate their faith, in accordance with the tenets of their religion." Consenting to Sabarimala Shrine worshipers forming a religious denomination, Justice Malhotra's minority judgment copy stated, "The Respondents and the Intervenors have made out a plausible case that the Ayyappans or worshippers of the Sabarimala Temple satisfy the requirements of being a religious denomination, or sect thereof, which is entitled to the protection provided by Article 26. This is a mixed question of fact and law which ought to be decided before a competent court of civil jurisdiction. Rule 3(b) of the 1965 Rules is not ultra vires Section 3 of the 1965 Act, since the proviso carves out an exception in the case of public worship in a temple for the benefit of any religious denomination or sect thereof, to manage their affairs in matters of religion."